Good morning bookworms, and happy Saturday! I'm sure you're relaxing around the house, enjoying the weekend, and possibly looking for your next read? Perhaps one with a modern-day cowboy lead? If you are, let me suggest The Samaritan's Pistol by Eric Bishop! Even among his small town neighbors, Jim is a content man. Despite the emotional baggage from his time serving in Desert Storm, he successfully runs a ranch, owns several beautiful horses, and makes extra cash as a wilderness guide for wealthy tourists. He's a modern-day cowboy. That is, until he runs into an ongoing mob-hit while riding in the mountains. Now, his most beloved horse is bleeding to death, three mobsters are dead from his smoking gun, and a wounded criminal is begging for his help. Jim has to make a decision. He can either high-tail it out of there, or accept a tempting offer made by the criminal—a promise of millions in stolen mafia cash for any help he gives. Of course, only an idiot would turn down such an appealing offer when they’re marked for death anyway. Besides, Jim’s good nature cannot allow him to leave someone for dead, even a criminal. Soon, Jim finds himself on a trip to retrieve a truckload of stolen money near the Las Vegas strip, right under the Mafia’s nose. But even if they escape with the cash, will Jim’s conservative neighbors provide sanctuary for their local Samaritan, and how far will the mafia go for revenge? Now Eric was kind enough to bring along a guest post today and it's truthfully amazing. Ever wonder about the word "hook" and how it pertains to writers? Here's his take on that word and why it needs to stop. Enjoy, and don't forget to add this book to your reading list! A few years ago, I went to a writer’s conference where they talked about the challenge of writing the first page. The presenter kept repeating the word “hook.” Maybe that’s why I grew to hate it, knowing redundancies kill good writing and workshops. It’s not that I disagree. The first page needs to be stellar, but I despise thinking of readers as mindless fish, waiting to take the bait and then read helplessly to the end as the author and publishing industry turn a reel. The “hook” is easy to spit out. Good writers invite readers to continue, and if it’s good enough, the reader will. Millions have accepted Stephen King and JK Rowling’s invitation to read along. Here are my thoughts on how they do it. Their brilliance starts with characters: male and female—old and young. Ask any Harry Potter fan who their favorite is. If not Harry, it’s Ron, Hermione, Dumbledore, or McGonagall. I don’t care much for wizards and magic, but I finished the first novel because the tension was so inviting, and the middle aged giant Hagrid was a character I enjoyed getting to know. Stephen King’s Under the Dome has old and young, male and female, capturing the persona of a quintessential American small town. It also leaves its science fiction roots and crosses into romance, horror, crime and suspense. Readers love these kinds of books. I love these kinds of books. 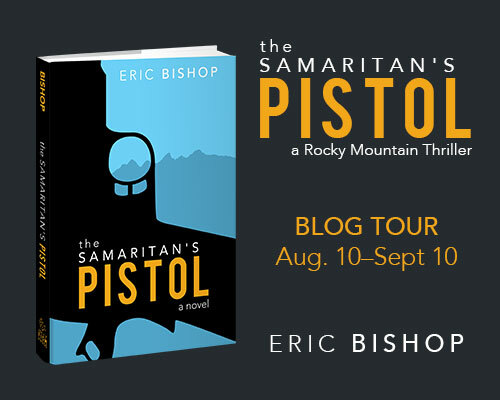 Fast forward and I’m in the thick of marketing my first novel, The Samaritan’s Pistol, and the first page is again on my mind. Will book stores carry it? Will people read it as an e-book? How do I position myself as a debut novelist? Will the prose be torn apart, and is my story complete? This only starts the list. I exhale and smile. After trying to get it published for five years they’re worries I’ve wished for. I sit back and hope I’ve done enough to invite readers to turn the pages through writing a host of appealing characters while crossing multiple genres. The Samaritan’s Pistol is an effort in that direction. It’s about a Rocky Mountain town, and how it protects its own after one man uses his pistol to help another, and how choices change lives. The protagonist, big surprise, is a middle aged white guy. Hopefully there are enough other characters for readers to find someone they like. At its heart, my story is a western that detours bullet fast into crime, thriller, romance, action adventure and even inspiration. At the end of the day it’s not everyone’s kind of story. It’s not meant for children, but I included something for teenagers to retirees. The reviews are coming in. They’ve been positive and fair. They’ve said it’s far more than the typical western, and I can honestly say as an author, there’s nothing out there like it. 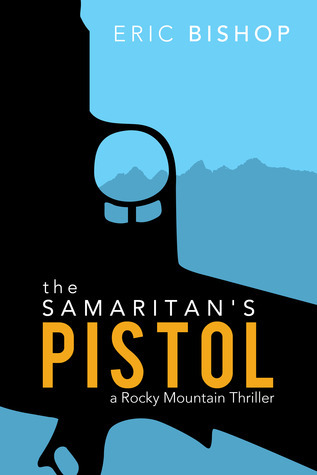 If you choose to read The Samaritan’s Pistol, I promise I’ve left the hooks in the tackle box. If at any point you choose to stop, I’ll be back inviting you to read my next novel. There are more book ideas percolating, simmering in the back of my head. They’ll come out when the time is right. Some night when I can’t sleep or I wake early and put my fingers to keyboard. I’ll be writing with you in mind, crafting sentences that invite readers to continue. I’ll add vibrant characters and personality types. I’ll do it all to make the experience real. The invitation will be there, delivered to a book store near you. If I’ve done it well enough, I will have earned your interest. You’ll accept the first page’s invitation, and then hopefully continue to accept until the final word. The Samaritan’s Pistol will be release on August 24th. Its available for pre order at a discount at Amazon and Barnes and Noble. 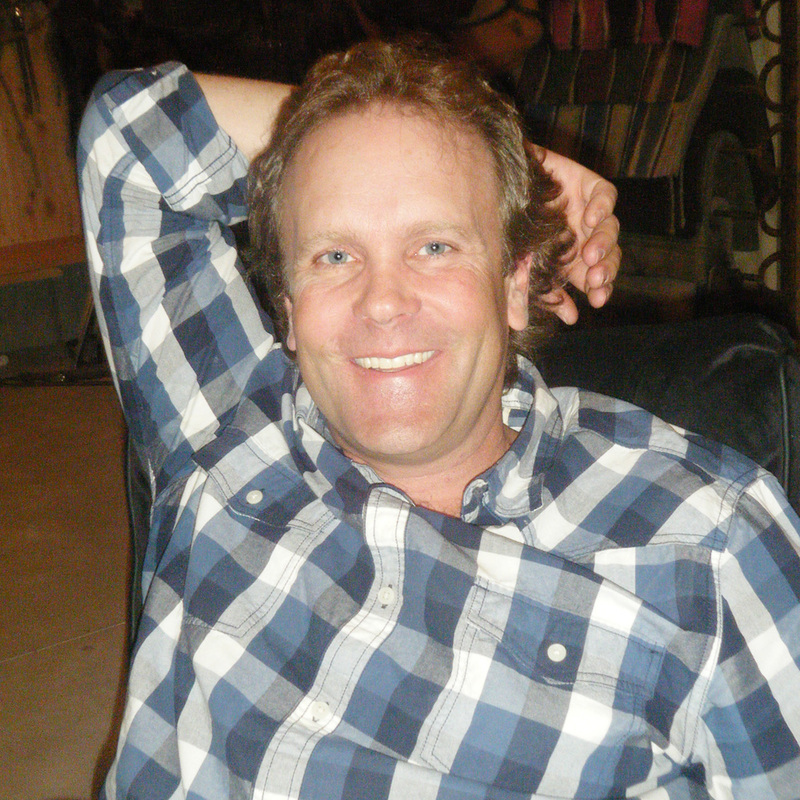 ERIC BISHOP is known to to his friends and family as an “author version of Clint Eastwood.” As the owner of a successful marketing firm, Bishop spends most of his time on his Utah ranch writing with the music of his adolescence bouncing off the walls. When he’s not writing, Bishop enjoys spending time with his wife and four lovely daughters at his home in Nibley, Utah. Unlike Jim, Bishop hasn’t had any run-ins with the Mafia. Yet.